Sterling Acura of Austin | Your Central Texas Acura Dealer. Your Central Texas Acura Dealer. We are a world-class Acura dealer specializing in the sale of new Acuras, as well as an array of Pre-Owned vehicles, featuring Acura Certified Pre-Owned vehicles. We have an award-winning sales and service team. Our service department services every make and model, and we also have an on-site parts department. We are proud to offer new Acura models that include the TLX, RLX, ILX, MDX and RDX as well as an extensive inventory of quality used cars in the Austin, Georgetown, Round Rock and San Marcos areas. Sterling Acura of Austin is committed to making our clients feel at home. Our remodeled executive lounge features two televisions, premium Starbucks coffee, a client business center, and a concierge to facilitate your service visit. You can check out our full inventory at sterlingacura.com. We are dedicated to providing our clients with a superior automotive experience in sales and in service. We build long-lasting client relationships by treating every person with honesty, respect, and fairness, and by sharing industry-leading expertise to serve you better. Our goal is not only to make you a client for life, but for you to be part of the Sterling Acura of Austin family. Remove the headache of parking from your next trip to the airport. Set up an appointment to leave your car with us while you're out of town, and we will drive you straight to the airport. While you're away, we will perform any maintenance your vehicle needs. When you land back home, give us a call and we will have your freshly-serviced, freshly-cleaned car waiting to pick you up! Get in and out without any trouble, thanks to Sterling Acura's Express Service. We understand that you have a tight schedule, but still need the highest caliber service and convenience you can find. Drop your car off or enjoy our luxurious lounge area, and our expert technicians will expedite your service for minor maintenance and check-ups. We can perform full-service maintenance as well as washing and vacuuming your car, all under 1.5 hours, no appointment necessary. Taking care of your car isn't limited to its mechanics; it's important that your car looks as good as it runs. Any car you buy from us, new or pre-owned, we will wash for free for the life of the vehicle. Just bring it in during service hours, and you can relax in our lounge area featuring gourmet coffee and free Wi-Fi, and we'll get your vehicle back to you looking like it just rolled off the factory floor. Your life shouldn't be put on hold while your car is being serviced. That's why Sterling Acura offers you a FREE loaner car service on work lasting longer than 2 hours. 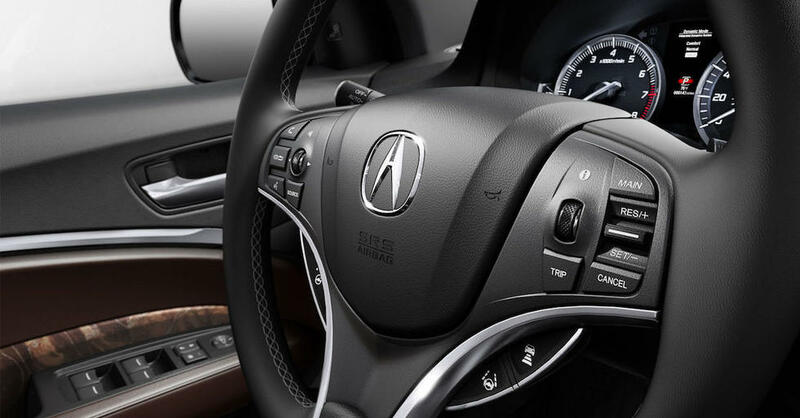 Experience the comfort and thrills that only driving an Acura can bring, even while yours is being cared for. Schedule service with Sterling Acura today and never miss a moment of Acura excellence! Who says waiting for your car to be serviced has to be boring? Our luxurious customer lounge offers all the comforts of home while our expert technicians treat your vehicle with care. Stay entertained and informed with the free, high-speed Wi-Fi or our high-definition televisions. Enjoy our fresh, quality snacks and premium gourmet coffee. With all these amenities, you might find yourself wishing our technicians didn't work so quickly! The world doesn't stop while your car's in the shop. When you come to Sterling Acura for your vehicle service, you can be sure you're never out of the loop thanks to our complimentary, high-speed Wi-Fi. Whether that means staying in touch with the office or keeping up with your friends on Facebook, we leave that up to you! At Sterling Acura, we know you can't always find time during the week to have your car serviced. We want to remove the stress from auto repair and service, and that means being ready to help when it's convenient for you. Come see us Saturdays from 7 a.m. to 7 p.m., and we'll give you the same expert, speedy service you'd get from Monday to Friday! There are so many different small details that people miss when maintaining their vehicle. A filter here, low tire pressure there, and eventually, you could be experiencing serious problems with your vehicle. We take care of those little details by offering you free alignment and inspection on vehicles you buy from us. We want your Acura provide you with comfort, confidence, and excitement day-in and day-out, and this is just one more way we make sure it does. It's hard to understand why some service businesses only stay open while you're at work from 9-5. With our new extended service hours, you don't need to miss work to have your car serviced. While you wait, you can stay comfortable and entertained in our waiting area featuring complimentary Wi-Fi, gourmet coffee, and high-definition TVs. It's just another way that we set ourselves apart from the competition by reacting to your needs before you even know you have them.